SUPERMX forming lower high & lower low. How low will it go? 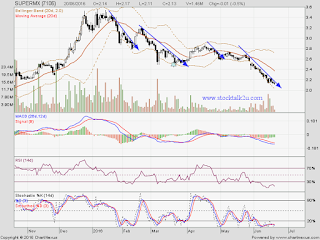 Will it be technical rebound @ RM2.00 psychology level ? Stochastic %K @ oversold region, pending BUY call. Immediate resistance @ RM2.29 level. Subsequent resistance @ RM2.39 level. Immediate support @ RM2.10 level. Subsequent support @ RM2.00 psychology level. 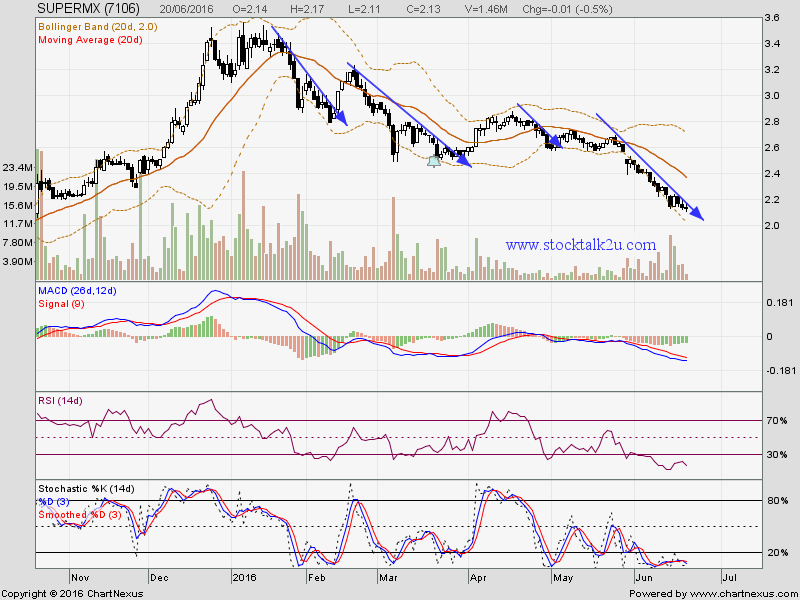 Let's watch closely for technical rebound opportunity.